With the advent of new communication and last mile technologies in the Digital Economy, demand for new services has pushed subscriber growth exponentially and service providers are witnessing huge network utilization and congestion while vying for increasing market share. They are increasingly relying on technology solutions to offer innovative services and increase customer satisfaction by offering superior experience at the most optimized costs. Daemon Telecom Suite allows providers to define, monitor and bill the services in convergent multi-play environments. Providers can offer real-time charging, billing, interaction, customer care (CRM software) and partner interaction and settlement functions for services across multiple lines of business be it data, voice, VOIP, currency or new age IOT device play. It offers an optimal choice to transform existing billing systems and partner revenue management solutions into next generation converged OSS / BSS Solutions. It also allows hierarchical product management and Customer Order management that allows nimble operators to create new service models and offerings, especially where service Providers are innovating at breakneck speeds to beat the incumbents. Intuitive and comprehensive Customer Management functions with a single console to support complex customer account & hierarchies across services that reduce Opex significantly. Provides an easy-to-use OSS / BSS platform for operations staff and partners that promote transparency, security, actionable information and efficient task execution. Our OSS / BSS solutions implement the best practices such as the eTOM framework as discussed above. 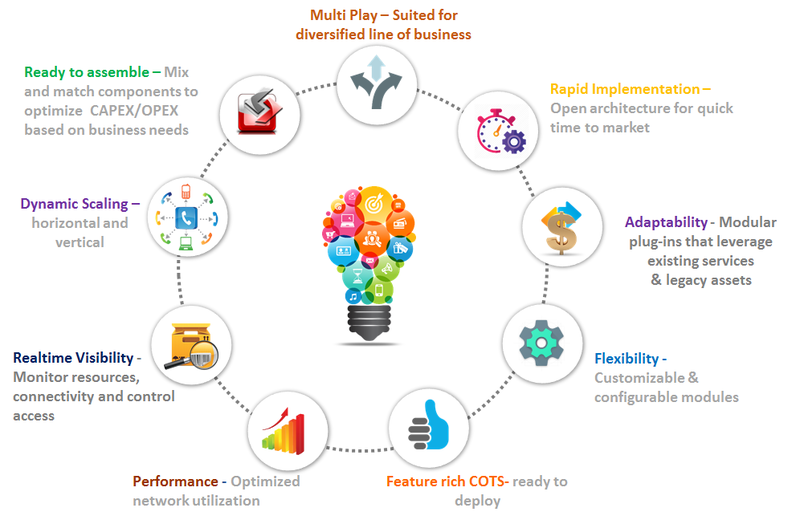 Daemon Telecom Suite workflow enables a high level of process independence that creates an adaptable environment for reuse and robust integration of enterprise applications and processes. Fits seamlessly into your enterprise IT architecture using SOA-based integration and protects your IT investments through easy software extensions. Leverages parallel processing utilizing modern high-performance multi-core processors to improve scalability and reduce operational complexity. Daemon Telecom Suite enables cost-effective growth providing unparalleled ROI with low TCO. Daemon CRM System is designed for CSPs operating over smart telecommunications networks. Private access networks (retail services). Open access networks (wholesale services). Transport networks such as submarine cables or terrestrial backbone optical fiber networks (data transmission services). The objective of this solution is to reduce operational expenditures. Rapid time to market of new products and services. Catalog-oriented tool for a full product life cycle management. Improved subscribers Quality of Service through easy process customization. Increased operational efficiency through easy process automation. The Daemon CRM system manages several scenarios simultaneously. Multiple type of final subscribers: residential, small business and big business. Cloud computing supported thanks to the web based architecture. Customer Self-Management through a web portal. Single point of contact for service providers.